Observers of US politics recognize the US-Israel “special relationship,” and the “strategic asset” and “Israel Lobby” conceptions of it. The “asset” concept holds that the relationship expresses fundamental “US interests” that are independent of any Lobby influence, that the Lobby is powerful only when it promotes those interests. The Lobby proponents see a quasi-sovereign force capable of defining or undermining US interests. This book is clearly intended to enhance the “strategic asset” view. The first chapter is entitled “The Primacy of Oil,” and “oil” is a primary, even the dominant theme of the book. For all this emphasis, Gendzier does not fully address the nexus of US oil interests, Zionism, and Arab resistance. She overlooks pre-war Arab and oil industry opposition, an “oil connection” that predates hers, and doesn’t do justice to the Trans-Arabia Pipeline (Tapline), a key postwar project and US policy instrument. She depicts a natural, inevitable synthesis of Zionism and US oil interests that was disproven by events she omits. In 1933 Saudia Arabia awarded an oil concession to Standard Oil of California, through a subsidiary, California Arabian Standard Oil Company, Casoc. Standard of California was eventually joined by three other major US oil companies. In 1938 oil in commercial quantities was found. The Saudi monarch, Abd al Aziz ibn Saud, decided to award another concession, and Casoc again won the bidding. The potential conflict between American support for Zionism and US oil interests arose in 1936 and later, following increased Jewish immigration to Palestine, and ruthless British suppression of the Palestinian Arab revolt against British rule. This elicited strong protest, from Arabs to US diplomats, from at least one oil industry executive, and from King Saud himself. “King Ibn Saud of Saudi Arabia made an eloquent appeal to President Roosevelt in a letter of November 29  criticizing the main points in the Zionist argument and pleading for justice for the Palestinian Arabs on the basis of self-determination.” Gendzier omits all of this. World War II consolidated the position of Casoc and the US in Saudi Arabia, against potential British influence. The US extended Lend-Lease to Saudi Arabia to ease the financial crisis of the war, upgraded its diplomatic representation, and developed an air base at Dhahran near the oil fields. Casoc renamed itself Arabian American Oil Company, Aramco, and expanded the small oil refinery it had built. Building a pipeline from the oil fields in eastern Saudi Arabia to the eastern Mediterranean was discussed during the war. Postwar, the Trans-Arabian Pipeline (Tapline) became a major instrument of US policy; it would support Saudi Arabia, assist the economies of the transit countries, fuel the recovery in western Europe, enhance “stability,” diminish Soviet influence, and profit the oil companies. Tapline was delayed and almost cancelled due to political complications in the Middle East, and also, despite its strategic importance, in the US. The direct pipeline route led through Jordan and Palestine to the oil refinery and tanker terminal at Haifa, which was precluded by emphatic opposition from King Saud. The alternative led through Jordan, Syria and Lebanon. Terms were readily agreed with the Christian Maronite government in Lebanon, and with King Abdullah in Jordan, despite strong public opposition to Zionism. Tapline finally cleared US politics, but a pipeline route was obtained in Syria only after the CIA, in March, 1949, engineered a coup. Zionism had forced the re-routing of Tapline, increased the cost, and held up completion by twenty months. Gendzier mentions the coup, but omits the US political wrangle, including American Zionism’s initial opposition to Tapline. voiced concern about the strengthening ties with Saudi Arabia that could push the Zionist movement outside the circle of America’s strategic interests. They stressed the importance of a strong and stable Jewish state, given the loyalty of the Jewish community in Palestine to allied interests during the war. Moreover, they denied categorically that a pro-Zionist policy would harm the status of American oil companies in the Middle East; because oil has no significance while in the depths of the earth, the oil-producing states would need American companies in order to profit from their resources even if the United States pursued a pro-Zionist policy. There were even veiled threats as Zionist representatives hinted at damage to the oil companies’ image, should they appear anti-Zionist after the Holocaust, in a decisive hour for continued Jewish existence. As the debate over Tapline began late in the war, the renamed American Zionist Emergency Council “set up a subcommittee for oil. It prepared a series of position papers and memoranda to establish guidelines for Zionist policy.” The “campaign was designed to prevent the construction of the pipeline unless it went through the Jewish state.” At first Zionists denied a need for the pipeline, “assuming that not laying it at all was better than not laying it through the future Jewish state, and thus removing that state from the circle of American interests.” They “tried to exploit differences of opinion within the oil industry and to reinforce the opposition of companies without Middle East concessions and those not participating in the project.” They argued that tanker transport was cheaper and safer, that a pipeline was vulnerable to terrorist attacks. (In 1947, Jewish terrorists attacked the Haifa oil refinery and the pipeline from Iraq three times). As agreements were signed and work begun, they advocated a “route through areas likely to be under Jewish sovereignty in the future.” Zionist officials presented the pipeline through Palestine as a contribution to regional development, to the integration of the Jewish state into the region, and to peace. Gendzier omits this campaign, which pitted American Zionism against Tapline for a time, even as she cites the article that discusses it. The Truman White House, against the judgment of its diplomats and military experts, supported the historic vote recommending partition in the General Assembly of the UN in November, 1947. Palestine, unsettled by the Zionist campaign against British rule, erupted into civil war. By early 1948, the US had begun to consider alternatives to partition, including UN trusteeship, and extending British administration. Oil interests were chief among US concerns, and Gendzier mentions a weaker version of the February, 1948 threat by the Arab League against American oil companies cited above. In January, 1948 the Jewish Agency prepared a “Note on Palestine Policy,” for private circulation in Washington during Congressional hearings on US oil interests. (99-101) In February, Max Ball, head of the Oil and Gas Division of the Interior Department, met Eliahu Epstein of the Jewish Agency, through family relations. Drawing on the Note, Epstein argued that Zionism was a progressive economic and political force, and asserted the harmony of Zionist and US interests in that respect, and the dependency of the Arab oil producers on western oil companies. Ball argued that oil development was a progressive force in the Arab world, and that it would also fuel Europe’s recovery and stave off Communism and chaos there. Partition would antagonize the Arabs and jeopardize this, hence was not in US interests. Epstein replied that “ ‘imposition of the will of the U.N. by the loyal implementation of the partition scheme would have a soothing effect on the Arabs and make them regain their right sense of proportion’ ” (105) about their weakness. Epstein cited Palestine Jewry’s support of the Allied war effort. He mentioned the oil prospects of the Negev (Naqab), the southern desert of Palestine, and Ball offered to introduce Epstein to oil company executives. Ball later advised Epstein that such meetings could happen “ ‘only when the Jewish state is established both de facto and de jure. The Oil Companies’ policies are based on practical advantages’ ” which could be pursued only “when the Jewish state becomes a reality.” (108) Ball thus implicitly endorsed partition, at least in the Jewish Agency’s account which Gendzier quotes, when his government was still debating it. 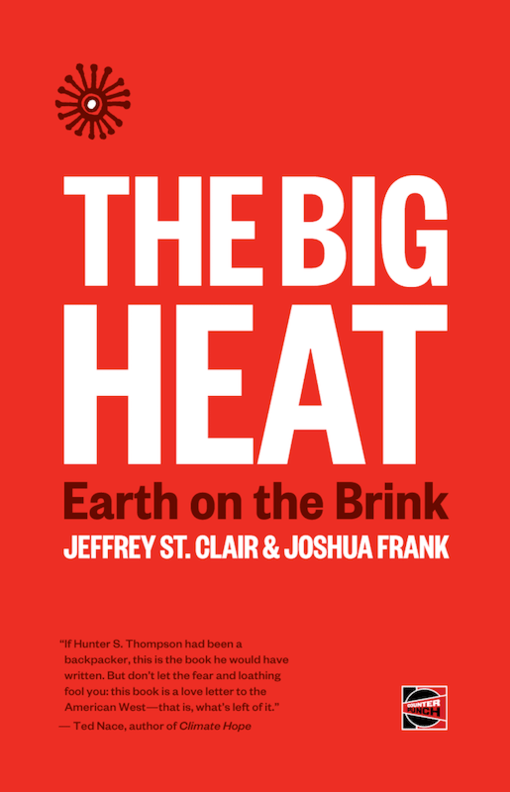 In her final chapter, “The Israeli-U.S. Oil Connection and Expanding U.S. Oil Interests,” Gendzier tries to thicken this tenuous connection with accounts of two meetings between oil executives and Israeli officials, US government discussion, Aramco’s growing Saudi interests, and Max Ball’s authorship of the petroleum legislation of Israel and of Turkey. She mentions in passing the Arab League boycott of Israel, which actually began in 1945, as a boycott of the Palestine Jewish economy. The Arab oil producers attempted an embargo on the US, Britain and Germany during and after the June, 1967 war, but the supply-demand balance in the marketplace did not favor it. Between 1970 and 1973 oil prices doubled, and demand rose to 99% of production capacity. From the outbreak of Arab-Israeli war in October to December 1973, OPEC price increases and Arab production cuts and embargo on the US raised the oil price four-fold, causing supply dislocations, long lines and fights for gasoline, a deep recession, and discussion in Congress of nationalizing the oil industry. In 1976 Aramco and Saudi Arabia agreed on terms for nationalization. Gendzier’s augury of a natural, inevitable mixing of oil and Zion was not borne out by events. A decade ago Professors John Mearsheimer and Stephen Walt published their article “The Israel Lobby,”precursor to their 2007 book, The Israel Lobby and U.S. Foreign Policy. They argue that the Israel Lobby is much more powerful than the oil lobby, and disagree that oil had much to do with the decision to invade Iraq, as does historian Stephen Sniegoski. In the 1940s, the US international oil companies (and the foreign policy executive) were weaker politically than the domestic oil industry, which held up Tapline over steel export licenses, and were also weaker than the nascent Israel Lobby. Gendzier claims that Israel’s “strategic value” led the US to accept Israel’s refusal to repatriate Pales- tinian refugees, and its extension of sovereignty to conquered territory. This is no more persuasive than the “oil connection,” for similar reasons. Gendzier deprecates or omits US efforts to secure repatriation, misrepresents Israel’s access to arms sales and alliances, and exaggerates Israel’s role in US strategy. Failure to liquidate or materially reduce the magnitude of the Arab refugee problem would have important consequences. The Arab states presently represent a highly vulnerable area for Soviet exploitation, and the presence of over 700,000 destitute, idle refugees provides the likeliest channel for such exploitation. In addition, their continued presence will further undermine the weakened economy of the Arab states, and may well provide the motivation for the overthrow of certain of the Arab Governments. The issues of refugees and territory dominated US relations with Israel into late 1949. In mid-September, 1948, Swedish diplomat and UN mediator Folke Bernadotte proposed an armistice and settlement that ac- cepted partition, but called for territorial exchanges, for Jerusalem to be under UN administration, and most critically, for the Palestinian refugees to be repatriated as early as practicable. Two days after releasing the plan, Bernadotte was assassinated by Jewish terrorists. When US secretary of state George Marshall endorsed Bernadotte’s plan three days after his murder, “the floodgates of domestic protest really burst.” In late October Truman told the State Department and Marshall expressly that he wanted no statements or votes at the UN on Palestine until after the election. Truman remained responsive to domestic political pressures to back Israel, after his re-election he demonstrated an unprecedented degree of impartiality. . . Truman appointed as secretary of state Dean G. Acheson, who had earned the president’s trust and confidence. . . Under Acheson, State Department officials obtained Truman’s explicit consent to their policies on Arab-Israeli issues, and he refrained from overturning their handiwork. Or tried harder to refrain. Gendzier notes Acheson’s comment on an Israeli request in March 1949 for US military training. “ ‘Giving such permission could be one way of encouraging Israel towards a western orientation.’ ” (279) As Gendzier acknowledges, the Joint Chiefs turned down the request, “so long as a risk of war between Israel and the Arab states continued to exist. The Israeli army was not in dire need of foreign technical assistance, and the United States might become overtly involved if the Arab-Israeli conflict resumed. . . US strategic interests in the Middle East would unquestionably suffer under these circumstances” because of identification with Israel. Israel’s “orientation” was less important than US standing in Arab eyes. The “realistic solution” proved to be the refugee camps, whose restive populations formed the guerilla factions that were the popular base of the Palestinian national movement of the 1960s, with all their political and social consequences. The State Department had foreseen this outcome and sought to ameliorate the conditions that produced it. Acheson’s withholding of the balance of the loan, until Israel reached Truman and countermanded him, and later efforts, strongly suggest that the Israel Lobby, not a concern for Israel’s orientation, was the decisive factor. Gendzier notes that the Pentagon opposed partition, but argues that, after the Arab-Israeli war, it recog- nized Israel’s strategic value in the event of war with the USSR. The Soviet Union was expected to occupy the Middle East to prevent attacks on its southern regions from there, and to deny the Suez Canal, the Gulf and the oil fields to the Allies. The US declined to commit ground forces to the region in advance, but would station bombers at Britain’s Suez Canal bases to attack the USSR. The US had no plans to defend the oil fields, but would sabotage and bomb them. Britain was charged with defending the Middle East, and US confidence in Britain’s ability to secure even the Suez Canal declined steadily after 1945. This culminated in the US abandoning the Middle East en- tirely, including the Canal, to concentrate its forces outside Britain in northwest Africa. The US announced this strategy at the ABC (American-British-Canadian) planners’ conference in fall, 1949 in Washington, and implemented it in the Offtackle plan, approved by the Joint Chiefs by year-end. US war planners viewed Israel as cannon fodder, which would expend itself defending a target they doubted could be held and would abandon. The abandonment of Egypt for northwest Africa was in turn superseded by a “northern tier” strategy centered on Turkey, scene of early Cold War skirmishes. In 1947 the Truman Doctrine proclaimed the defense of Greece and Turkey. The US genuinely viewed Turkey as a “strategic asset,” and US policy was predictable. By the end of 1950 US military aid to Turkey totaled $271 million, with $154 million allocated in fiscal year 1951. By 1950, the US had trained Turkish troops in eight military schools, supplied the Turkish army with 50,000 tons of war materiel, and provided 11 surface vessels and four submarines to the Turkish navy. The Turkish air force received 314 World War II aircraft, with 25 jet fighters to be delivered in 1951, while numerous airfields were modernized or built outright. Turkey had remained neutral in World War II, and resisted being turned into an offensive base against the USSR without concrete assurances of western support. The US recognized this, and Turkey became an associate member of Nato in 1950, and a full member in 1951. Gendzier omits the denouement of this episode. Sharett decided to mount a major campaign in the US, and Truman yielded to crushing pressure and instructed the State Department “to formulate an arms supply policy that would satisfy the ‘many active sympathizers with Israel in this country.’” The “resourceful State Department” crafted the Tripartite Declaration with Britain and France, conditioning arms sales to Middle East states on a pledge of non-aggression, for purposes of “ ‘internal security and their legitimate self-defense’ ” and “ ‘defense of the region as a whole.’ ” Arab and Israeli reaction was guardedly positive, and the effect was to limit overall arms sales to the region. Nor does Gendzier discuss military alliances. The Korean War in 1950 raised US concern about the Middle East, and to defend “against the Soviets and to assuage Arab anger about Israel, U.S. planners resolved to erect a security pact on Arab foundations.” The Middle East Command would be centered on Egypt, but exclude Israel “in light of Israeli neutralism and Arab-Israeli dynamics.” Israel in any event declined to join the pact, fearing obligations and compromises, and preferring direct relations with the US. Egypt rejected the MEC, abrogated its defense treaty with Britain, which ceded the bases in the Suez Canal Zone, and demanded that British forces leave Egypt. A successor proposal, the looser Middle East Defense Organization, foundered for the same reasons. The first set of claims is greatly exaggerated, the second is unproven at best. Israel’s “potential value” in US strategy was negligible. The US declined to sell Israel arms or include it in regional alliances. It abandoned the only theater in which Israel would be useful, before settling on its northern tier strategy. The US was concerned about the Cold War alignment of the entire region, and certainly not more for Israel than for the Arab states. The authoritative “Report by the National Security Council on United States Policy Toward Israel and the Arab States” in October, 1949, is even-handed, not a brief for Israel, and referred to a settled policy of refugee repatriation, territorial exchange and the internationalization of Jerusalem. The US was concerned about the destruction of Palestine for its own strategic reasons, because it feared Arab resentment of Israel as an opening for Soviet influence, and because of the radicalizing potential of the refugee population. The US continued to seek both refugee repatriation and territorial exchange, but was overwhelmed by the Israel Lobby. Gendzier is trying to make the Israel Lobby disappear, to insert the “strategic asset” argument in the 1940s, in the face of a large body of writing depicting the Lobby’s paramount influence in this period. The overriding lesson of the 1940s is not the “primacy of oil,” but the “primacy of Zion.” “The Zionist lobby came into its own during the Truman presidency.” The Israel Lobby was powerful enough to overwhelm the US diplomatic and military establishments, and major business interests, and their settled policy, and to force them to adapt to its imperatives, beginning, but certainly not ending, with the destruction of Palestine. Too much of the book is unoriginal, or too long and distant from Gendzier’s main claims. The book begins with four pages establishing that senior US government officials were drawn from business elites. A discussion of US immigration and refugee policy misnames Roosevelt confidante Morris L. Ernst as “Ernest Morris.” (37) Curiously, for a work with high ambitions, by a professor emerita at Boston University, from a leading academic press, there is no bibliography. The reader will learn from this book, if not the expected lessons. It reveals perhaps most of all the level of discussion in the United States, ten years after Professors John Mearsheimer and Stephen Walt tried to mainstream the issue of the Israel Lobby.